Compared with insulin injections, insulin pump therapy among young patients with type 1 diabetes was associated with a lower risk of diabetic ketoacidosis and severe hypoglycemia, according to a study published by JAMA. The use of insulin pumps for intensive insulin therapy among patients with type l diabetes has increased substantially in recent years. Several studies have reported an increased risk of ketoacidosis (a serious diabetes complication where the body produces excess blood acids) associated with insulin pump therapy in pediatric patients with diabetes. Beate Karges, M.D., of RWTH Aachen University, Germany, and colleagues conducted a study that included patients with type 1 diabetes younger than 20 years and diabetes duration of more than one year who were treated with insulin pump therapy or with multiple (four or more) daily insulin injections. 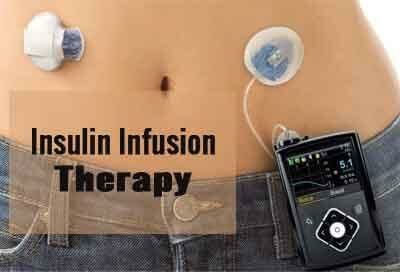 Of 30,579 patients (average age, 14 years), 14,119 used pump therapy and 16,460 used insulin injections. Pump therapy, compared with injection therapy, was associated with lower rates of severe hypoglycemia (9.55 vs 13.97 per 100 patient-years) and diabetic ketoacidosis (3.64 vs 4.26 per 100 patient-years). Glycated hemoglobin levels and total daily insulin doses were lower with pump therapy than with injection therapy. “These findings provide evidence for improved clinical outcomes associated with insulin pump therapy compared with injection therapy in children, adolescents, and young adults with type 1 diabetes,” the authors write.